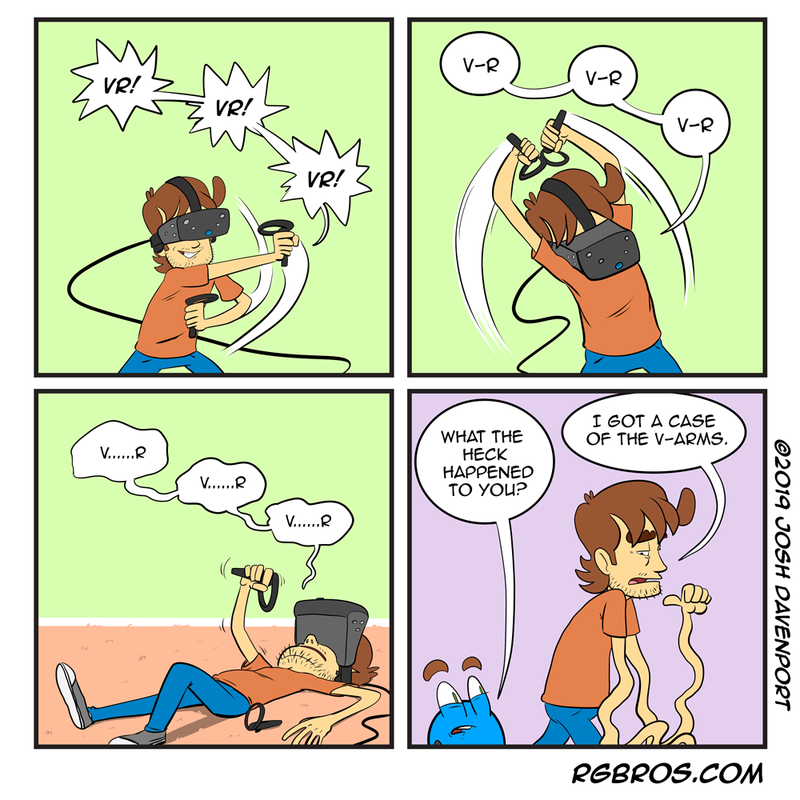 I enjoy virtual reality but I think I need to do it more often because every time I finish playing my arms feel like jello. Now, I know what you’re thinking, you’re thinking, “Josh why don’t you just workout more and you won’t get worn out that way.” YOU ARE WRONG. Exercise is a myth made up by the Athenians. Have a great weekend, you gambling gibbons!